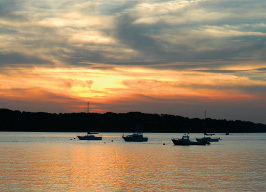 From its beginnings in 1668, Glen Cove’s waterfront and varied topography have made it a popular part of the North Shore’s Gold Coast. Prominent American millionaires such as J. P. Morgan and F. W. Woolworth lived here. Many Gold Coast mansions remain along with more than 300 acres of nature preserves overlooking Hempstead Harbor. Visit unique boutiques, fine stores, and choose among dozens of restaurants.